Not to be outdone by U.S. military research that inspired men to stare at goats, the Soviets also seem to have poured a nice chunk of change into investigating telekinesis and mind control. A new survey of Soviet "unconventional" research on the server ArXiv has the details. Based on Russian publications and recently declassified documents, Serge Kernbach at the Research Center of Advanced Robotics and Environmental Science in Germany paints a portrait of unconventional research from 1917 to 2003, twelve years after the fall of the Soviet Union. The government-funded research into the paranormal fell in and out of favor, but ultimately might have cost up to a billion dollars. Psychotronics—the Soviet term for parapsychology—was an active area of inquiry. As the ArXiv blog explains, "The work built on a long-standing idea in Soviet science that the human brain could receive and transmit a certain kind of high frequency electromagnetic radiation and that this could influence other objects too." For example, Soviet researchers reported, electromagnetic radiation could stimulate the immune systems of plants and humans. 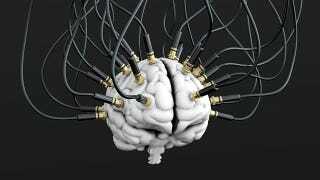 Psychotronic weapons were also tested for their ability to alter people's minds.